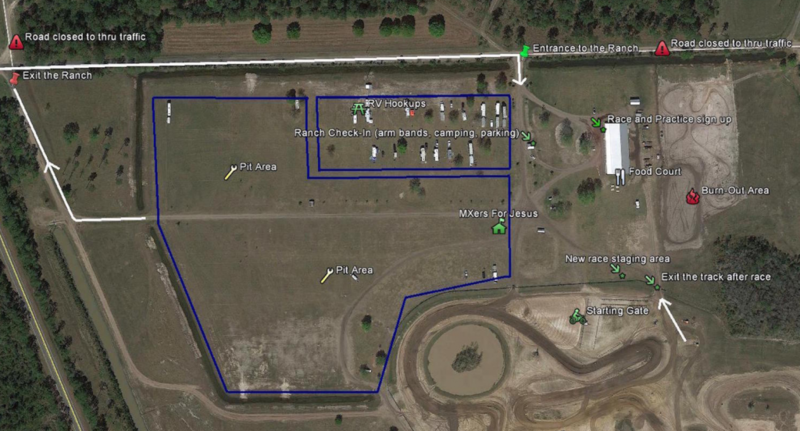 The following gate fees are per person and are good for the entire weekend. Once you have purchased an armband you must keep it on the entire weekend. If your band breaks please return the broken band to the front gate for a new one. If you lose your band you will be asked to purchase a new one. *We will have a DIRT starting gate for this event. All Pit Vehicles MUST have a pit pass for $25. This includes golf carts, side by sides, mini bikes, etc. Please be respectful of the pit area and those on foot and riding bicycles. Pit Vehicles are a privilege and should be used for TRANSPORTATION NOT ENTERTAINMENT! MUST BE LEGAL DRIVING AGE! We reserve the right to take away this privilege if you abuse it. RV hook ups (electric/water) are available on a first come first serve basis for $150 Thursday – Sunday. Water only hook ups are available on a first come first serve basis for $60 Thursday – Sunday. Holiday Inn Express and Fairfield Inn & Suites by Marriott are our host hotels. Click this Food and Lodging link for other hotels close by. TICKETS: Your arm band is your weekend pass and must be worn at all times. If you leave the facility, you must have it on in order to re-enter. This is your gate ticket. Do not take it off. SEARCH POLICY: All vehicles are subject to search at any time. If any fireworks, glass containers, or other prohibited items are found, you may remove them from the property yourself, or we will dispose of them for you. We are not responsible for the safe return of any contraband removed. PIT RIDING: Pit riding is limited to 5 mph speed limit in the Pits. DRONES: Drones of any kind are not allowed over the facility. PETS: All pets must be on a leash. No vicious or barking pets permitted. RIDER REGISTRATION: All riders must properly register before entering the track. All riders must personally be present for rider registration. Minors must accompany their parent or guardian to registration. REFUNDS: No refunds once racing has begun. 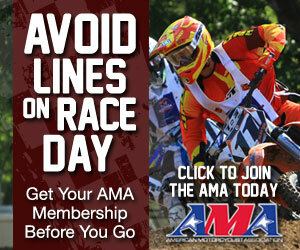 MEDICAL INSURANCE: We do not have Rider Medical Insurance, and urge you not to race without it. Riders are responsible for their own medical insurance. 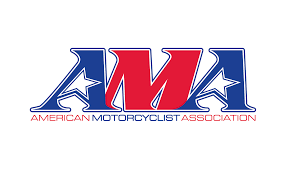 ACCIDENTS: Please report all accidents to Rider Registration. CAMPFIRES: We permit SMALL contained campfires. Please keep them to a 20” diameter. Please do not abuse this privilege. We will not permit large bonfires or the burning of furniture. No pallets or burning in garbage barrels either, please. TANK/DRUM FILLING: Available at the fill-up area; No bike wash area, must be done in your pit area. Be respectful of your neighbors! FIRE EXTINGUISHERS: All racing rigs/motor homes/camping vehicles must have fully functioning fire extinguishers readily available in the event of an emergency. GARBAGE: Please use our trash receptacles. 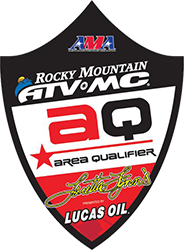 GUEST CONDUCT: Motocross racing is a family sport. We will not tolerate offensive or inappropriate conduct and reserve the right to remove anyone from the premises. Riders are responsible for the conduct of their crew members, family and friends. BANNERS: DO NOT take the banners or signage. Violators will be prosecuted for theft and trespassing. QUIET TIME: Quiet time is 10:00 pm nightly. All loud noise, including loud generators, must be turned off at this time. SPECIAL NEEDS: If you need handicapped parking accommodations or have other special needs, let us know when you arrive and we will do our best to accommodate you. RADIO STATION: Please keep your radio tuned to 90.3 for up-to-date announcements, racing news, interviews and information throughout the weekend. Although we have a public address system, the best way to stay tuned is to tune in. FOOD: Food is available for purchase on Saturday and Sunday. ICE: Ice can be purchased at Registration Area. GENERAL INFORMATION is located at the Main Gate and Registration. LOST & FOUND is located at the Registration Area.